An unmanned Japanese spacecraft has been circling Ryugu, a carbon-rich C-type asteroid that orbits the earth. They’ve recently made some interesting discoveries that could give us clues to the origins of earth’s water and potential life in other solar systems. This is significant because scientists believe that the earth’s water came from local asteroids, distant comets, and the nebula or dust cloud that became our sun. 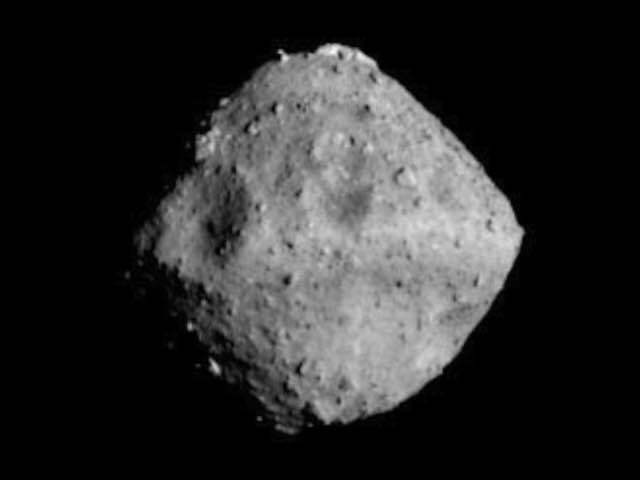 “The primary one being the amount of water, or lack of it, Ryugu seems to possess,” said Seiji Sugita of the University of Tokyo’s Department of Earth and Planetary Science in a press statement as the mission released its initial findings. 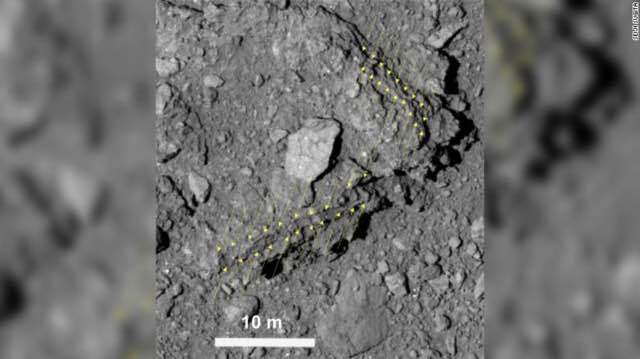 “It’s far dryer than we expected, and given Ryugu is quite young (by asteroid standards) at around 100 million years old, this suggests its parent body was much largely devoid of water too,” Sugita added. The presence of dry asteroids in the asteroid belt could change models used to describe the chemical composition of the early solar system. It could also affect the way we look for extraterrestrial life. The mission’s three initial papers published in the journal Science on Tuesday described the mass, size, shape, density, spin and geological properties of the asteroid, a porous “pile of rubble” shaped like a spinning top. 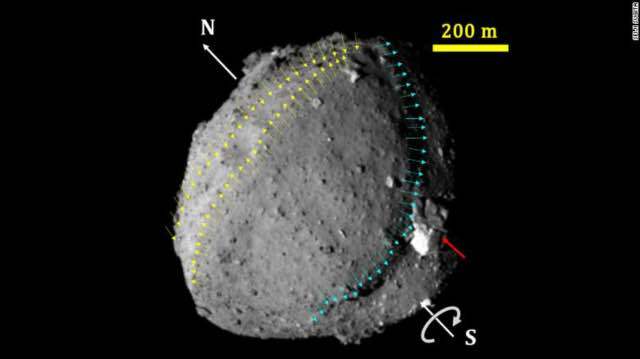 The Japanese space agency, JAXA, is also working with NASA, which has its own probe, OSIRIS-REx, exploring a different asteroid known as Bennu. The Japanese spacecraft has been collecting samples which will be analysed when it returns to earth next year.